When their attempt to rob a casino owned by the feared gangster Pope (Robert DeNiro) goes awry and a shootout ensues, Vaughn (Jeffrey Dean Morgan) and Cox (Dave Bautista) are forced to flee on foot and hijack city bus 657 and take the passengers hostage. Now, in a high-speed chase, Vaughn will not only have to outwit the police who are in hot pursuit, led by Officer Bejos (Gina Carano), but he will have to contend with Pope’s maniacal right hand man, Dog (Morris Chestnut), in order to make it though the day alive. But we quickly learn that things are not what they seem, and Vaughn has more than one card up his sleeve. 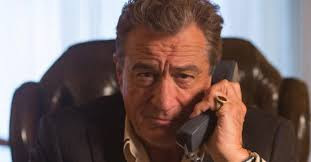 Vaughn (Jeffrey Dean Morgan) has worked for Mr. Pope (Robert DeNiro) for a long time. At one time, we learn he was the heir apparent to Pope’s riverboat casino but walked away for his family. He eventually came back and now works as a dealer at the tables. Pope’s new right hand, Dog (Morris Chestnut) is a bit of a hot head and really takes being Pope’s right hand to the extreme. When Vaughn comes to Pope asking for $300,000 to pay his daughter’s medical bills, Pope turns him down and Vaughn loses it. Pope fires him and has Dog throw him out. Still needing the money for his daughter, or risk her not receiving life-saving surgery, Vaughn agrees to team up with Cox (Bautista) and his crew to rob the vault of The Swan. Unfortunately, the robbers don’t make it out of The Swan cleanly and resort to commandeering a city bus, which then involves the police. On the bus are various passengers including a young boy travelling alone, a pregnant woman, and others who are just trying to get home or to work. With the cops hot on their tail, Vaughn and Cox need to figure out how to escape and get the money to the hospital for his daughter. Between Vaughn trying to keep Cox from killing hostages, dealing with his guilt, and trying to get out of the situation alive, he finds sort of an ally in Officer Bejos (Gina Carano), who has a gut feeling that Vaughn isn’t what he seems to be. As the day progresses, Vaughn realizes that some cops aren’t exactly working to save the hostages, but trying to get Pope’s money back. When Pope’s men finally catch up with the bus and with Vaughn, he has just one last chance to convince Pope that his only intention is to help his daughter and get out alive. There are a few twists and turns that I didn’t see coming in Heist and I really enjoyed watching the movie. It’s a fast-paced, action-packed movie that kept me on the edge of my seat for the entire time. I am a big fan of Jeffrey Dean Morgan, Morris Chestnut and of course the always great Robert DeNiro. All three actors were perfect in their roles and I really enjoyed watching them. 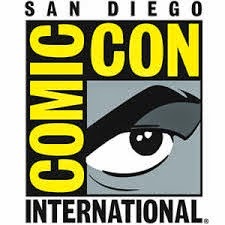 The action was fun and I thought the story and the direction were really good. The story seemed a cross between Heat and Speed, and was done really well. Of the minor characters, Kate Bosworth played Sydney, Pope’s estranged daughter, and Mark-Paul Gosselear was Detective Marconi. The Blu-ray cover is a bit misleading, listing Kate Bosworth as one of the top-billed actors when her part was literally one scene. Gosselear was a surprise when he showed up on the screen and I thought he was great in his role as the cop who isn’t who he seems to be. The Blu-ray presentation of Heist was really good. The picture was clear and sharp and transitions between scenes were smooth. With the amount of action and fast shots, the picture needs to be just as quick and Heist achieved that. It was a really good presentation on 1080p high definition widescreen 16x9 (2.40.1 aspect ratio) with good coloring and a good picture. The DTS-HD master audio for Heist was really good, as well. The sound was clear, and easy to listen to. I have noticed that sometimes in movies, the gunshots, background music and other sounds overwhelm the dialogue, but in this case the sound was even and everything blended well together. There aren’t many quiet moments in the movie, but when there were, there was no volume adjustment needed. The sound editors did a good job putting the movie’s audio together. Deleted and extended scenes (4:08) – These are not some much deleted scenes, but extended scenes with the deleted parts unedited. The Making of Heist (15:11) -- A behind the scenes look at the movie with cast and crew interviews. Heist trailer – The trailer really draws the viewer in and makes you want to watch the movie. Also from Lionsgate – Previews from the beginning of the disc. Heist is a fun, edge-of-your-seat movie that isn’t too unbelievable. The acting is good, the story is interesting and you find yourself wanting to root for Vaughn and sympathizing with his character. 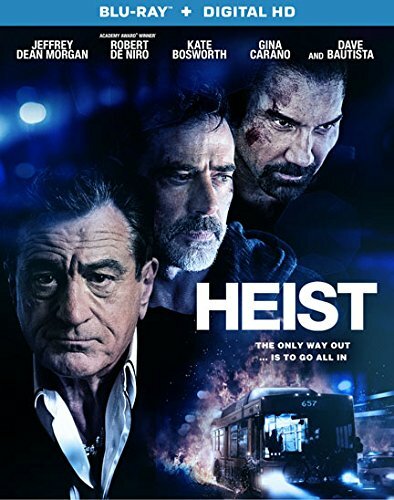 I will definitely rewatch Heist and have already recommended it to a couple of other people. 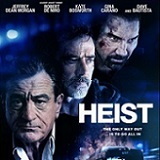 If you are a fan of action-packed movies, Heist won’t let you down.